You may have caught my Aron Baynes-as-Slam-Dunk-Champion article in CelticsLife, and now comes an in-game jam by Celtics TV broadcaster, Brian Scalabrine. 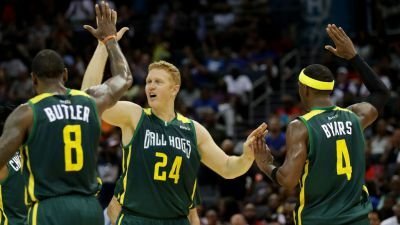 The White Mamba was in Atlanta as Captain of the BIG3 Ball Hogs. Scal obviously still keeps himself in shape. We will see him back behind the mike in October when the NBA season begins.